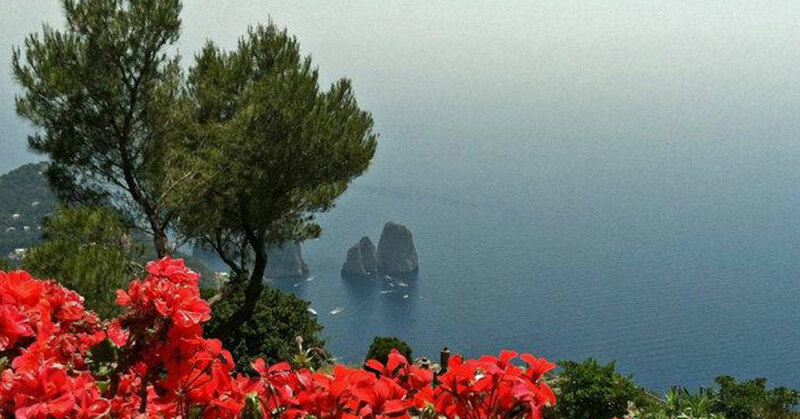 “Oh, yes, we’re going to the island of Capri”: One of the snootiest exit lines ever. “And we’ll be wearing capri pants, which we love because it sounds like oh, wheeee!” Had enough? So have the people of Capri. You see, it’s not pronounced ka-PREEEE’, but KA’-pree. Kind of takes the snootiness out of your practiced nonchalance. KA’-pree sounds a bit more like a Soviet bus stop. In any case, there are 2 parts to this island: the lower level where tourist hordes are ka-PREEing around worshipping bling, and then there is the top of the island where you have this most serene view of the faraglioni rock formations below. You choose.